11-Evaluation and Hydrological Application of CMADS against TRMM, PERSIANN, NCEP-CFSR, etc. 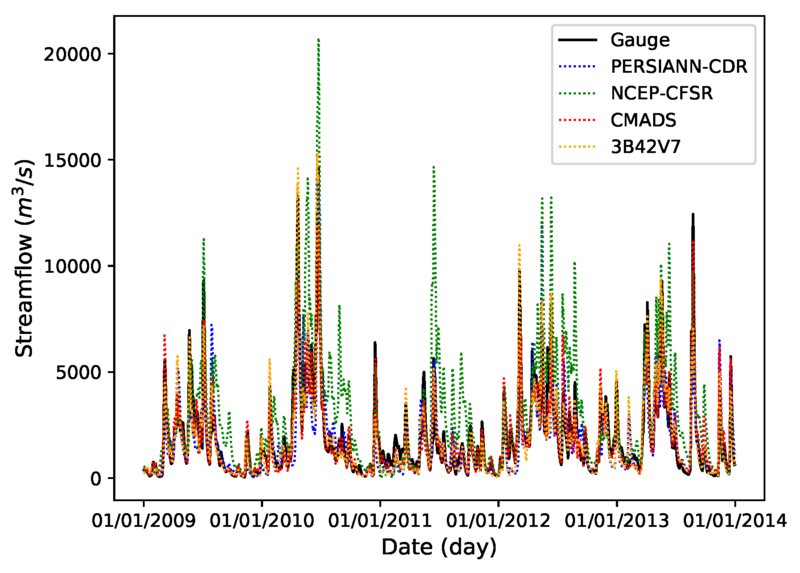 Comparison of simulated streamflow based on PERSIANN-CDR, NCEP-CFSR, CMADS, and 3B42V7 precipitation with that based on gauge precipitation. 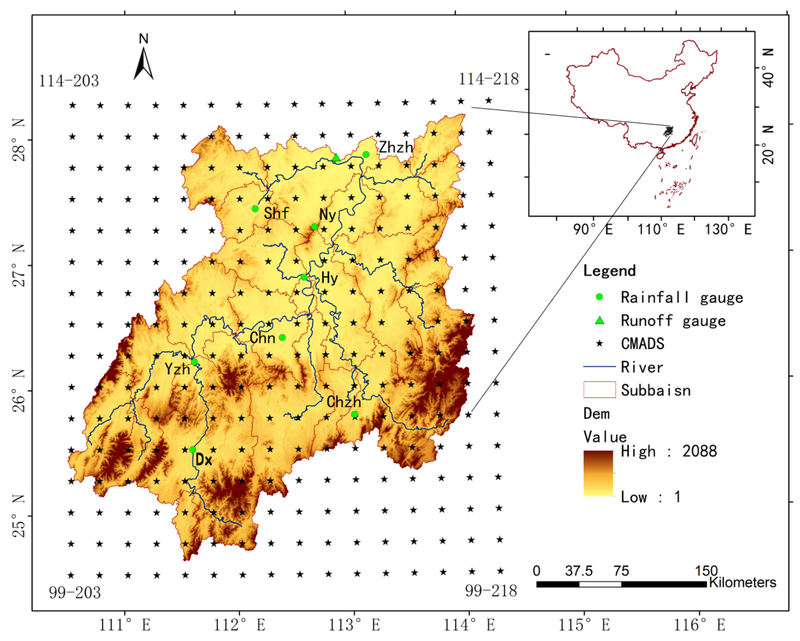 Gao, X.; Zhu, Q.; Yang, Z.; Wang, H.Evaluation and Hydrological Application of CMADS against TRMM 3B42V7, PERSIANN-CDR, NCEP-CFSR, and Gauge-Based Datasets in Xiang River Basin of China. Water2018, 10, 1225.